Another club member has recently made the motor racing press. 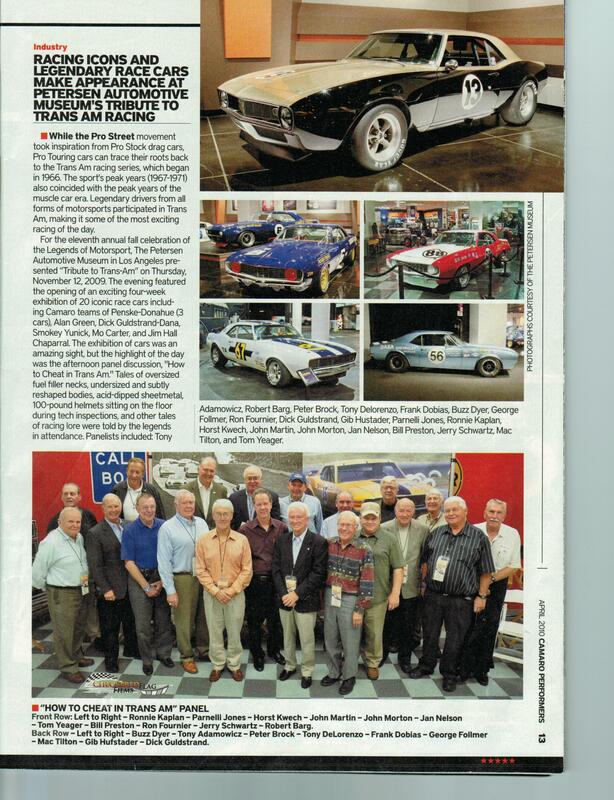 Robert (Bob) Barg is mentioned (including a photograph) in the March / April 2010 issue of Vintage Motorsport magazine. 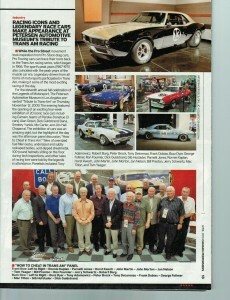 Check out their story (on pages 112-114) on the Petersen Museum’s Tribute to the Trans Am held last November. And here is a link to another story about the event. Robert raced as a privateer during the early “Golden Years” of the Trans Am, and was one of the 18 Honorary Guest panelists (also including the likes of Peter Brock, George Follmer and Parnelli Jones) who discussed “Cheating in the Trans-Am”. See the page below from the April issue of Camaro Performers magazine. Those were the days!